I was enjoying a wedding in Delhi on a pleasant December chilly morning when my mobile rang! It was a call from my office to ask if I was keen to go for a Short time assignment to Hong Kong! This was just out of blue as I was planning to enjoy the cold weather in Delhi. Next day I confirmed regarding going! The ball was set in motion and lo and behold, I landed in Hong Kong, the land of the dragon in end December! I am destined to spend a few months with Chinese friends in the New Year. My wife too joined for merry making for the New Year. On 31 Dec I picked her up from the sprawling maze of Hong Kong International Airport. Later in the evening we took the metro ride to Tsim Sha Tsui the nearest station to the Victoria harbor the site for the New Year festivities! A city’s culture is best depicted on its roads and metro trains, is my strong belief and on both these indices the city scores very high! The traffic moves as smoothly as a knife through the butter and the people are full of warmth and courtesy. I was moved to see a young girl get up on a metro from a seat and offer to an elderly man and stand for the rest of the journey! Small gestures but mean so much! The crowds were milling on the busy Nathan Road which was lit up like a fairy land! Despite heavy crowds there was no jostling and people seemed to enjoy the spirit of New Year with a lovely lights, costumes and glitter and glitz! The girls were dressed as if to scorch the ramp and even on the normal days you can see the latest fashion on the street like in no other place. There was a lovely laser show at The Avenue of the Stars with lilting music and festooned boats crossing the harbor. The sky was lit up with dancing laser beams from the skyscrapers across the harbor accompanied with musical extravaganza! It is probably the biggest sound and light show which is free! Next morning in the New Year, we saw score of school children carrying the dragons for a musical show on our way to the Hong Kong peak the highest point in the city where one can actually look down upon the towering skyscrapers adorning the city! The tram goes up the incline right up to the peak which has a splendid 360 degree views. We moved on to Lantau island by a ferry to see the towering statue of Lord Buddha. I wondered how the engineers would have moved this massive edifice on top of the mountain. By the time we returned, it was late in the evening. The next day was a public holiday so we left early to visit Macau the gambling den of the world. The Star Ferry crossing near the Central takes one hour and the visa is issued to most of the nationals on arrival! It has the largest number of casinos where it is fun to watch the young and old actively indulge in the oldest pastime of gambling! The casinos overflow with people and there are many shows, which are a big attraction! ‘The House of Dancing Water’ an 85 minute show at the City of the Dreams is not to be missed! The show was created with an effort lasting five years at a staggering cost of USD 250 million dollars by Franco Dragone. The stage holds 3.5 million gallons of water and gets converted into different kinds of stages as the show progresses. It is a love story with dazzling sound, lights, costumes, music and special effects including breath taking and death defying stunts on motor cycles as never before! The New Year has started with a bang ! A lot is to be done and many promises to be kept. I wish all readers an year of fulfilled dreams! Rahul..this is too much. Hong kong has been on my to see list from years and you start the new year by blogging about your HK trip. Are you trying to make me more jealous? Jokes apart, I am glad that you had such a fabulous time. Happy New Year. Wowww that was cool!! I have never been to HK! It's a dream that I hope it will soon become true! Great to meet you Rahul and Happy New Year to you and yours! May you accomplish all you set out to do an much more. Honk Kong is such a great city and your description of it has truly captured its vibrance & energy. I loved the night lights show over the tabour. it must have been an amazing New Years experience, great photos. How far is Macau from HK? @ Rachna- :)! See some travel is beyond even my control..:) Thanks for your best wishes none the less! @ Francesca- Thanks! HK is really a lovely place..
@ Stephen- Welcome to my blog and thanks for following!I reciprocate your best wishes..
@ Sam- Thanks for your nice comments! Macau is just at a one hour boat ride away from HK! @ Brian- Thanks a lot! You and your wife are lucky. HK is a beautiful place. Hope I can visit the place someday. Hong Kong, a nice city..
For an experience it must be to visit Hong Kong. I would love to one day..
That first picture is a dream!! honkong is said to be shoppers paradise ..hope you had a good time n shopping..
@ Ria- Thanks ! Yes good time and new work! A nice combo! @ Eden- Thanks ! Lucky for sure! @ Ruchi- HK is a nice place! @ Sam- Yes quite near..
@ Spiderdama- Hope you make atrip to this lovely place soon! @ Ashwini- Thank you for your lovely comments! Wishing you a happy new year too! @ Chintan- I knew you would have guessed even without reading this note, reason for reading your blog at an odd hour:)The travel to different places has taught me a lot about knowing people! wow you have ended and started your year with lots of travel!! Good for you! Happy New Year- glad you got to spend some nice time in Hong Kong with your wife!! Just when I was thinking that we should include HK in our itinerary this year, I stumble upon this post. And New Year celebrations sounds like so much fun there. @ Anjuli- Lucky again! Yes this time in HK! 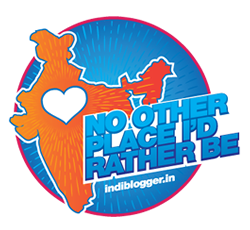 Thanks..
@ Purvi- Thanks a lot!Yes it is great fun to see new places! @ Purba- Please get in touch if you are planning to be in HK! It will be an honor to meet you in the land of crystal gazers:)I can assure you it is a fun place! Hong Kong looks and sounds fantastic.. you did have an awesome start.. and its great that ur wife joined... Its rare sight in cities in India young people offering the seat to elders.. I am bowled over :D Wish you a fab 2012!! Single Girl- Hong Kong is such a place that one instantly falls in love with! I thank almighty for having shown me so much!Wish you a wonderful year ahead too.. Thanks so much for stopping by at my blog. Your blog also wonderful and so informative. Welcome to my blog, Sush! Thanks for liking!